Stadium Experience has welcomed both Northampton Saints Rugby Club and Preston North End Football Club as new members. The new additions takes the total number of members to 60 different clubs across the UK and Ireland. Stadium Experience is a not-for-profit marketing consortium and aims to share best practice and promote stadia as unique and prestigious venues for meetings, conferences and events. 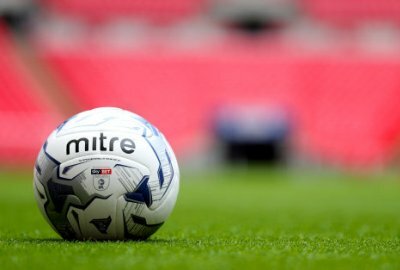 The group has increased its membership dramatically in the last few years, with the newest members including; AFC Fylde, Aviva Stadium, Burnley, Croke Park Stadium, Gloucester Rugby, Harlequins Rugby, Ipswich Town, Leeds United, Manchester United, Munster Rugby, Northampton Saints, Notts County, Ospreys Rugby, Preston North End, Scunthorpe United, St. George’s Park, St Helen’s Rugby, Stoke City, Swansea City, West Ham United, and Wolverhampton Wanderers. Franklin’s Gardens is in the heart of England – Just an hour away from London, Birmingham, Oxford and Cambridge, five minutes from the M1 and within easy reach of a number of major airports. The venue offers a portfolio of beautifully appointed spaces, offering a stylish and comfortable setting for any event. The stadium can cater for up to 600 theatre style or 450 banquet style, with 3000 complimentary parking spaces. The Deepdale Stadium, home to one of the founding members of the Football League, offers impressive conference and banqueting facilities. With ample free car parking spaces and within easy reach of all major transport links, (M6 motorway network and Preston’s West Coast main line train station), the stadium has a variety of rooms available, all with natural daylight, air management systems, and mouth-watering menus to suit each and every individual conference organiser and delegate.